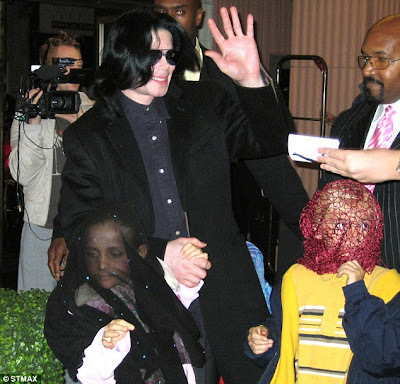 Her late father Michael Jackson would frequently make his children wear an array of masks in a bid to keep herself and brothers Prince Michael and Prince Michael II out of the prying eye of the paparazzi lens. 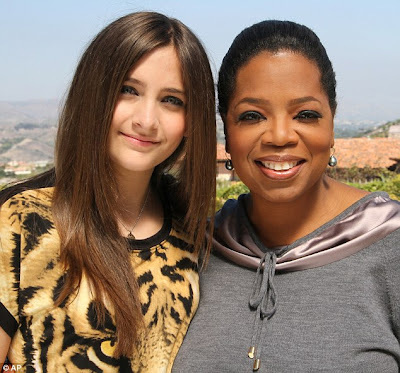 But in Oprah's Next Chapter interview, which airs on Sunday on OWN, the 14-year-old also says she now understands what her father's intention was. 'I was really confused,' the teen tells Winfrey. She said that the mask-wearing helped her and her brothers live a childhood, which she describes as 'normal'. 'We had a normal childhood – including trips to the children's arcade and restaurant Chuck E. Cheese's,' she explains to the veteran talk show host. While Michael was in the public eye from such a young age, Paris says her father wanted his own children to enjoy their youth. 'He told us that when he was younger he didn't really have a childhood,' says Paris. 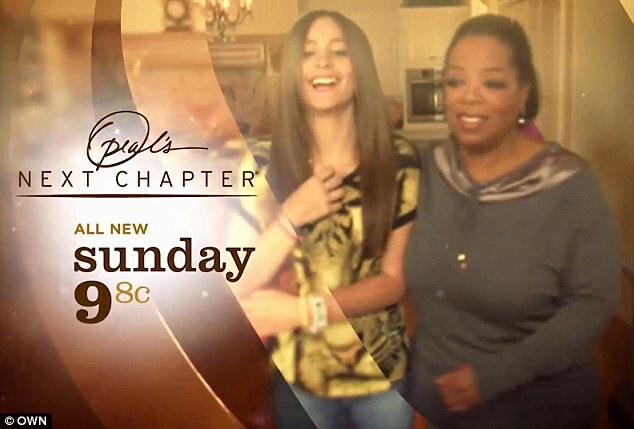 Paris opens her heart to chat show queen Winfrey to reveal the pain over her father's death, saying it is still as raw as ever. In a sneak preview released on the internet, she is also seen explaining how still finds the death of the King of Pop hard to cope with. Paris addresses the 50-year-old's death in June 2009 due to an overdose of the powerful anesthesia propofol. His physician Dr. Conrad Murray was sentenced to four years in prison after he was convicted of involuntary manslaughter for administering the drug. The teenager is also going to talk about her fledgling acting career acting career. She is already set to star in the upcoming fantasy movie Lundon's Bridge and the Three Keys. In a recent interview, her aunt Janet Jackson talked about her reservations about her niece's acting career. She said: 'We've spoken about the fact that you're only a child once. 'I think there's a time for everything, and now is not the time [to act in films]. 'I told her I thought she should enjoy being a kid, possibly go to college--or not--but wait till she turns 18. Oprah will be hoping the exclusive interview will draw in some more viewers to her embattled network. The average prime-time audience for the entire year of 2011 was 264,000, with Lisa Erspamer, Executive Vice President of Production and Development, leaving the company in January as a result. According to the New York Post the channel has losses standing at an astonishing $330m.